Over at Haunted Labs Instagram account, they’re running an insane give away. They’re calling it the March Mayhem Give Away, and I totally get it. This is a give away that lives on Instagram only, but it’s worth it. No account? Well, I would make an account just to enter this bad boy. Who needs March Madness, when you can have… MARCH MAYHEM! 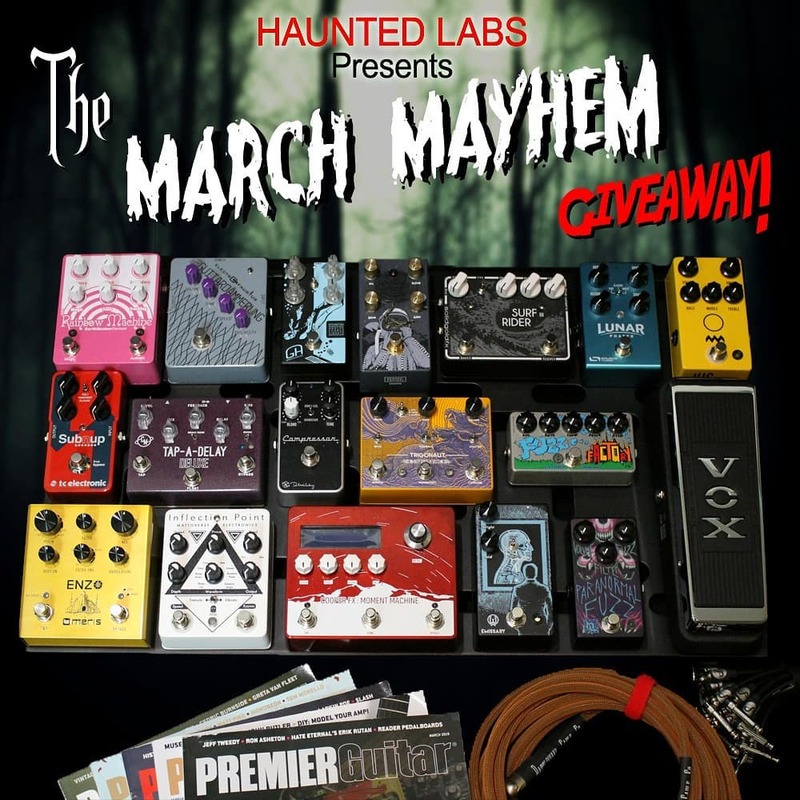 Haunted Labs has teamed up with some of our friends to give one lucky winner the pedalboard of their nightmares – umm.. we mean dreams, of course.. on March 31st! 2. Follow all participating companies: @hauntedlabsofficial, @cooper.fx, @cusackmusic, @deepspacedevices, @earthquakerdev, @electro_faustus, @greenhouse_effects, @groundcontrolaudio, @jhspedals, @keeleyelectronics, @mattoverse, @meris.us, @premierguitar, @rattlesnakecables, @sinasoid, @solidgoldfx, @sourceaudio, @tcelectronic, @voodoolabofficial, @voxamplification, @walrusaudioeffectsand @zvexeffects on Instagram. Winner will be selected at random and notified via Instagram direct message at the giveaways conclusion. Pedal Line Friday - 3/8 - Mike McQuainThe Cure in Africa - Pedalboards of Robert Smith and Reeves Gabrels! Mad Professor Sweet Honey Overdrive Give Away – The Winner Is..